The biggest change that I have found is that NEST+M is no longer a "School Based Application School". It has a code number which means that you will rank it on your application, just like you do if you are applying for Mark Twain or PPAS, etc. It seems that G&T scores are coming out shortly. If you don't get your score by April 7, contact them. "Score reports and eligibility letters for the 2014-2015 school year were sent to families in early April. 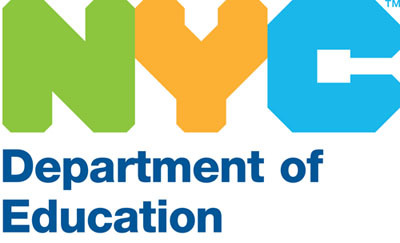 If you do not receive your child’s results by April 7th, please call 718-935-2009 for assistance." I have reports that if you have a pin that you may be able to access the scores online. The Doe has announced the deadline to apply for a G&T seat is April 21. Schools are listing tours for next week and beyond here and on their websites. Depending on the school, you may need to register for the tour. Update! The Request for testing is up. The deadline to register is 11/9. It should be that time of year, but its not. Last year at this time families were busily filling out their online gifted and talented "Request for Testing" forms. This year the DoE is a bit late. This is the page you need to watch. Registration should be up shortly in "mid October". You will likely have a few weeks to sign up but don't miss the deadline when it is set! Make sure to get a testing date and a confirmation. The test dates are usually in Jan. and Feb.
First let me say that PS 32 is blameless in this fiasco. Last year, their first year with a g&t kindergarten, PS 32 in Carroll Gardens had a small under capacity classroom. Over the 2011/12 year, PS 32 gained a reputation as a strong, happy and conveniently located program. This year many families placed it high on their g&t wish lists. The DoE, seeing that last year, there was a less than 30% registration rate, decided to assign 70 students to the classroom, thinking that only a small percentage would actually want to attend. They didn't realize that the school had become a "go to" program in the district in one short year. So what is happening at PS 32 today? They already have over 30 families registered with more coming. They are registering all families through the June 5 deadline and trying desperately to find out what to tell the families to calm their fears. Families are worried that they won't be able to attend the school that they chose and were placed in. Many of these families have already been saddened by the fact that there are not even close to enough seats in the city wide schools that they qualified for, but they were happy to have this new local option that looks so promising. The DoE has a new wrinkle in the process this year to place seats left by attrition in district and citywide gifted and talented programs. gifted and talented numbers 2012, Crikey!! Just got word through the grapevine that the number for gifted and talented eligible kindergarteners is through the roof this year. You expect a little bump from year to year, but this year numbers are much higher! Here is a pdf of the breakdown by district. Here is the latest breakdown of 99% by district. When I made my way to Carroll Gardens to visit PS 32 last week I wondered, "has the DOE just placed a G&T classroom in a school that has room or have they found a fit in a school that can support the special needs of gifted and talented learners?" I came away excited and energized by what I saw. Gifted and Talented programs should be more than just accelerated environments that keep bright kids from being bored. These learners are at the far end of the special needs spectrum and they have their own issues. A child reading at a fourth grade level in kindergarten is all good right?! But that forth grade book is dealing with themes far beyond the social development of the kindergartner. What about the child who has the ability to comprehend and write far above grade level but doesn't have the finger strength or fine motor control to actually do it? What about the child with extraordinary ability with numbers who is struggling with reading? how many g&t kids scored at 99? In 2009 a grand total of 1000 children scored in the 99th percentile on the citywide assessments for kindergarten gifted and talented programs. An unofficial report puts this year's 99th percentile number about 300 above last year's total. The NY Times looks at the equity of the test and debating the approaches to testing, and numbers of children scoring in the 99th percentile by district. The Screened/Audition workshop for public high school choice at Brooklyn Tech this week was pretty short and sweet considering the weather and the wealth of subject matter. You can find the great, detailed audition advice as a pdf file under the July event date. The interview/audition panel is not trying to trick you. They are truly interested in you and what you have to present and they want to see your best and understand your interest or passion. This is not American Idol or So You Think You Can Dance. You are auditioning for a conservatory not a production. They want to see technique or potential in anything you do. That means a pretty traditional approach. There is NO waitlist for gifted & talented and NO appeal. So you may ask (and you have been asking! ), what happens if families decline their offers and there are extra open seats? Here is the answer. The DOE "over-offers". They do this at all levels of gifted programs (middle school as well as the Specialized HS) with the expectation that there will be a certain number of families that will opt out. Over the years they have a pretty accurate idea of the numbers. If fewer families opt out, the classes will be a little larger. If more families opt out the very few left over seats in highly popular programs are filled by the children who test in the summer. There are a number of families who move into the city from outside after the request for testing is filed in the fall, and they can request a summer test date. If the new students score high enough they are offered the leftover seats. Don't be too jealous of them - the seats are few and far between and they are biting their nails with no back ups in sight right through the summer. Occasionally siblings may also take the left over slots. If a student has a sib currently attending a school and the younger sib scores high enough to qualify for a seat in the school, occasionally they fall through the system. The very occasional empty seat enables the DOE to rectify this situation. The Daily News and the NY Times both have reports on PS 163 on the west side that had way too many g&t offers and the school has instituted a waitlist for parent's registering for the seats that have been offered. It appears that there will be an additional class added to accommodate the overflow. So, families who have been offered a citywide or districtwide g&t seat, you should decide on whether you are accepting the seat or not and register. If you don't and you haven't already registered at your zoned school, charter, magnet, etc. you will be left without a seat. Remember, the DOE honors the last registration, so if by some crazy fluke you get word that you are offered a seat in some other random school over the summer, the last school that you register at, is the one that your child will attend. PS 20 will no doubt weather its troubles, but it is sad news for children who tested into the citywide gifted and talented program. One less option is always a sad story. Many parents saw the placement of a citywide program, which would consist of a single class on a grade, into an existing school as a curious move on the DOE's part. Considering the three citywides in Manhattan are full schools (although petite) it enables the teachers and administrators to build school wide programs especially designed for this end of the special needs spectrum. I would imagine that the school wide staff development geared to G&T would be invaluable and help produce fine and sought after programs. The city has for years placed single G & T classes in general ed schools and although the talented teachers that lead these classes have toiled in solitude (one on a grade) they have done a fine job. It seems to me that the citywide program is serving a different purpose. I believe that was the thinking of the many parents that left their northern Brooklyn neighborhoods in droves to seek out Brooklyn School of Inquiry. Insideschools has reported that because of the huge popularity of the school that they will be adding a third kindergarten to the school and only opening one first grade class. So, were Principal Keaton's troubles the reason that the program has closed? Was it the fact that it looked like this program, that had been given special development and attention at other schools, a seeming afterthought at PS 20? Was it a lack of focus and expertise in gifted and talented education that put parents off? We won't know. The DOE has a challenge finding the resources, the location and the educators to pull off this kind of program. I think that they have made a great bet in Donna Taylor and Brooklyn School of Inquiry. This is information from the Brooklyn School of Inquiry's brochure. "Within our self-contained classes, you'll find enrichment and a variety of accelerated teaching styles geared toward children with superior intellectual potential." Their Philosophy: "Brooklyn School of Inquiry believes gifted and talented students require a curriculum of diverse content and great depth to realize their full potential. We are committed to the whole child: our goal is to balance the social, emotional and academic development of our students in an environment that nurtures creativity and fosters divergent thinking. We believe parents play a crucial role in the daily life and long-term growth of their children's school. It is through this vital home/school connection that we will partner with parents to build a sense of responsibility in children about the importance of attendance, punctuality and homework. Together, we will create a community that values sensitivity and respect for others. We support the development of self expression through dance, theatre, music, painting and drawing. Collaboration with many New York City cultural institutions enables us to promote the arts both in and outside of our classrooms." The Academic Curriculum: "differentiated integrated curriculum, infusing Science, Social Studies and Literacy into thematic studies shaped by the New York State Framework for Grades K-8. The studies will include independent and group hands-on projects to foster questioning and the development of critical thinking skills. Math inquiry will involve interpreting, organizing, and constructing meaning of situations using mathematical models to develop number sense. Homework is a logical extension of the school day and serves to reinforce the skills, techniques, and information learned during school hours." Language Arts: reading in all genres, and "writing projects including poetry, realistic and historical fiction, feature articles, comic books, interviews, persuasive essays and literary analysis and criticism." Readers and Writers Workshop. Mathematics: "The curriculum is aligned with the National Council of Teachers of Mathematics standards. The goal is to help students learn to apply mathematics to everyday life and the world around them and to become confident by communicating and reasoning mathematically, both verbally and in writing." City College Math in the City Contextual Investigations. Social Studies: "Students explore their communities and study world and American history and culture, within thematic interdisciplinary units that integrate language arts, music and the arts." Science: "Our hands-on discovery approach invites students to theorize, hypothesize, observe and draw conclusions using the F.O.S.S. differentiated kits." Social and Emotional Curriculum: "our counseling program is designed to be preventative an developmental. Guidance counselors will see students on an individual basis as well as during classroom lessons where they'll teach skills and share information in small-group settings. Preventive and Developmental Social and Emotional Counseling Program, SENG Model (Gifted Parent Group), Technology Education, Chess Instruction, Arts Integration, Academic Intervention and Enrichment Program. 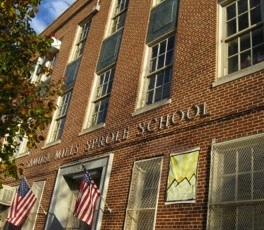 The description of the different subject areas is similar to the regular citywide curriculum, and programs that are present in many quality general ed schools in Brooklyn. The difference will probably come in the level of support (including developmental and emotional) and the method and rate of acceleration within these programs. If I get any more specifics I will pass them on. According to insideschools blog the new citywide gifted and talented schools that we have been waiting for since last fall have been announced. Two of them will be located in Brooklyn. The Brooklyn School of Inquiry in Bay Ridge (correction: Bensonhurst) will be able to accommodate two kindergartens and two 1st grades next year. The TIER program at PS 20 will have space for one kindergarten and one 1st grade next year. If the citywide G&T policy remains the same the number of students attending likely depends on the number of children who score at the 97th percentile and above whose parents decide to send them to this program. The Brooklyn School of Inquiry will be housed in a brand new building at 50 Ave. P in Bay Ridge (correction: Bensonhurst). It will open with kindergarten and 1st grade students in the fall and eventually go through 8th grade. The school will incorporate "looping" where a teacher follows a class for two years. According to Pamela Wheaton from insideschools.org Donna Taylor will be the principal. "She is an experienced teacher of gifted classes (she taught in the G&T class at PS 230 in Brooklyn) and is now doing a residency at the Anderson School." It sounds very promising. The Technology, Inquiry, Enrichment and Research (TIER) program will be housed in PS 20 in the same building as Arts and Letters Middle School in Ft. Greene. It will also enroll kindergarten and 1st grade next fall and is planned to grow to 5th grade. A site is being sought for eventual middle school expansion (correction: "The Department of Education is working to identify nearby middle schools where students in these programs can continue after fifth grade.") The TIER program will be a part of PS 20 with Mr. Keaton as its Principal. Mark Twain Intermediate School 239, the shining star of Gifted and Talented middle school education in Brooklyn, held their second of four open houses last night. On display were the kind of intensely talented, focused, well spoken children who drive nervous 5th grade parents into death spirals of stress and covetousness. What flaming ring of fire do you have to jump through to send your little darling to this paragon of education on Neptune Ave? Well, as it turns out we don't really know yet. Thanks DOE! What the charming and helpful staff and parents said last night was that the process has been centralized; we think that it has possibly been simplified for out of District families and that things have changed a bit but we don't know the repercussions. The process has been centralized. There is no pre application for out of District parents. There will be tests given in Feb. and/or March. Your child may test in two talents. The tests will be 1 1/2 hours long each and both be given on the same day. The tests will contain a writing portion. It will designed and graded by Twain, but the children will be ranked and placed by the DOE. The whole thing with the pre-application in previous years had to do with accessing your child's standardized test scores out of District. It appears that the children will be placed only on the strength of their talent test, but maybe since the DOE has access to all students scores that will be a factor. We just don't know. The last two open houses will be held on Thursday Dec. 11, at 1-3pm and at 6:30 to 8:30pm. Good luck, one and all. The Gifted and Talented information is out. You can pick up Instruction Booklets that contain a portion of a sample test, instructions and a "Request for Testing" application at your local elementary school or any DOE Enrollment Office. (There is an Enrollment Office in Brooklyn Tech High School on South Elliott between DeKalb and Lafayette. Go to the door with the handicap ramp and the office is downstairs) You can also download the instructions and Request for Testing (but not the sample test) online. Make sure that you get the appropriate booklet for your child's age. The Request for Testing form is due Nov. 19 and must be hand delivered. If your child is currently enrolled in a public school, deliver it to the school. The DOE has suggested to the schools that they have a book to sign as proof that you delivered the form. Your school may or may not follow their suggestion, but it doesn't hurt to ask. If your child is not currently enrolled in a PS, hand deliver the form to the Enrollment Office and make sure that you get a receipt. The testing will take place in Jan. and Feb. The children already enrolled in a public school will take the test during the school day at their school, but not necessarily with their teacher. All other children will be tested on a Saturday or Sunday. The test is made up of two parts, the OLSAT and BRSA. The sample test that is included in the booklet is the OLSAT portion which counts for 75% of the grade. The OLSAT is not like the ERB or Stanford Binet. The student can do very well without talking at all. It is all about listening and managing concepts, not verbal expression. The other part of the test is comprised of a colorful flip book that deals with things like color, shapes and sizes. The test for K has fewer questions than the test for 1st grade and takes about 25 - 40 minutes depending on the child. A child that is testing into K is seen on a one on one basis and there is no need for the child to fill in their own bubbles (let the test taker do it. It tires the kids out) Children applying for 1st Grade are seen in groups of 5 and need to fill in their own bubbles. Children are graded by small age increments, e.g. 4yrs 0 months and 4yrs 2 months are graded together. You should take the opportunity to tour the schools that have G & T programs in your District now, even though you won't have to decide which schools you would like until you receive your child's results in the spring. If your child scores in the 90th percentile or higher they will be offered a seat in one of the programs within your school District. If they score at the 97th percentile or higher they may be offered a seat in a citywide G &T school. The city is opening a citywide G & T school in Brooklyn next fall, but the location is not decided yet.